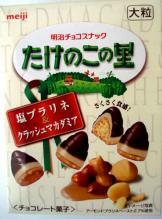 'Kinoko no Yama' is the brand name for a popular snack from Meiji, they're basically little "stem" shaped cookies with chocolate on top to replicate the shape of a mushroom, hence its name ('Kinoko' literally means mushroom in japanese). I saw this purple sweet potato flavor at Tokyomart and it sparked my interest, partially because I had tried the original milk chocolate flavor before and quite liked it. 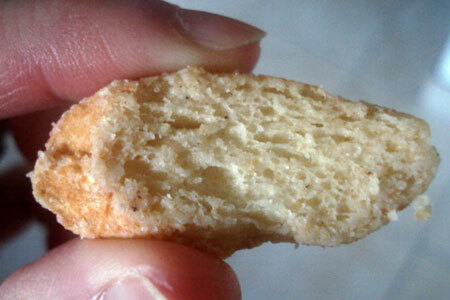 firstly, the "stem" shaped cookies were very nice, they were soft and crunchy, one would happily munch on them just by themselves. 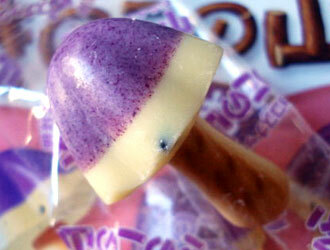 The "mushroom cap" shaped chocolate coating on top was white chocolate topped with a layer of purple colored sweet potato choc. 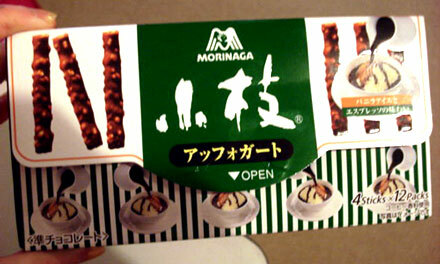 Nothing particularly special about the white choc coating, it was just like any other ordinary white chocolate. 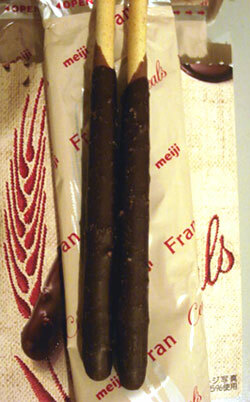 But the layer of purple sweet potato chocolate was far more substantial, the consistency of the purple choc seemed grainy (as shown in the second photo above), this may be due to the fact that the makers at Meiji had used purple sweet potato powder to flavor the chocolate, as oppose to actual raw extracts from the root vegetable itself. But despite the grainy appearance of the purple sweet potato chocolate layer, the consistency of the choc was actually pleasantly smooth with a substantial amount of sweet potato flavor infused into it. The flavor of the sweet potato and the sweetness of the chocolate coatings balanced well and complemented together, and the little sesame seeds embedded in the choc coatings added some texture and soft crunch to the choc. I thought the addition of the whole sesame seeds was a nice touch, it complemented the chocolate and cookies perfectly and added that 1 more layer of complexity to the snack, at least for this particular flavor. 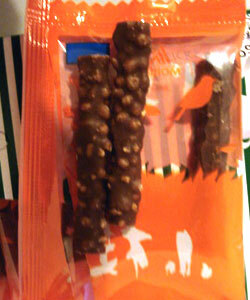 No doubt the star of the whole snack is definitely the chocolate coatings, but the cookies were also yummy in their own right. 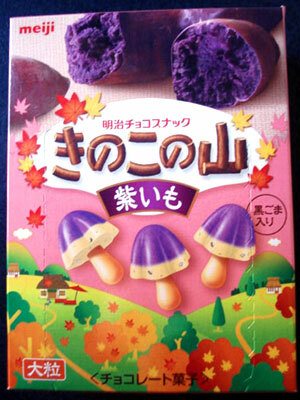 Overall, a very tasty snack to munch on anytime anywhere, and frankly to me, I think this purple sweet potato flavor far exceeds the original milk chocolate flavor kinoko snack, which I thought wasn't anything particularly special, but this purple sweet potato flavor sure is! 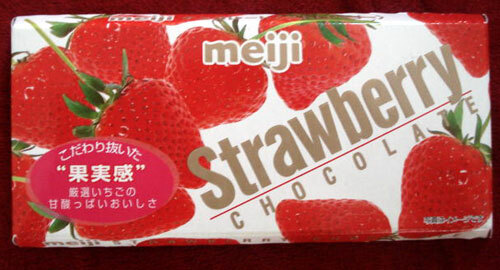 I bought this small box of 'Apollo' chocolate from Meiji in original strawberry flavor at Tokyomart during my last trip there. I've read many reviews about these Apollo chocolates over the years and have seen plenty of images, so I thought it's about time I enlightened my curiosity about these little sweets. 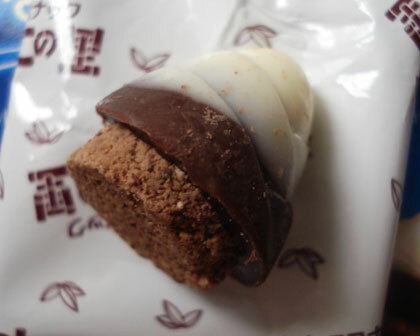 the concept of these Apollo chocolates are really basic; a cone-shaped confectionery with 2 layers of different types of chocolate. 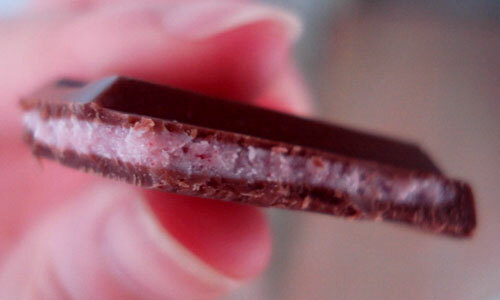 In this case, the first layer was milk chocolate topped with the second layer of sweet pink strawberry chocolate. 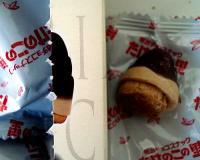 The sweetness of the 2 chocolate flavors complemented each other well and created a rich choc blend. There's really not much to comment on these Apollo chocolates, they may look fancy but they're rather simple in concept & execution. 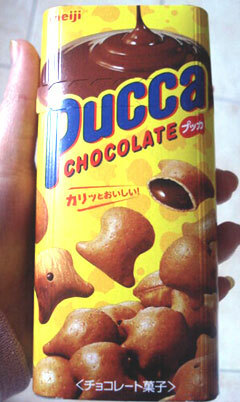 Overall these little chocs make good sweet treats to munch on anytime of the day and would satisfy anyone's sweet cravings, however there's really nothing particularly special about them in my opinion. 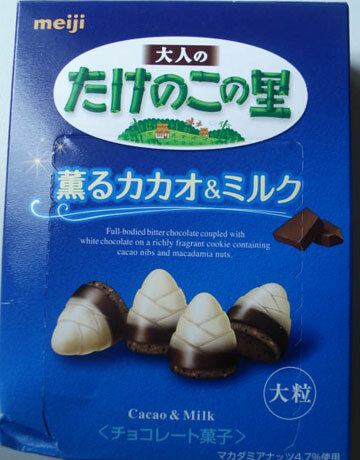 I really like these cute 'Takenoko no Sato' cookies also from Meiji, these oishii cookies with various chocolate coatings shaped like bamboo shoots, they are shaped like bamboo shoots because the hiragana 'たけのこ' (Takenoko) in its snack name literally means bamboo shoots in Japanese. the cookie bases were soft and crumbly with a lovely nutty flavor as there were tiny pieces of almond and macadamia embedded in each cookie base. The choc coating has 2 layers; the first layer of beige-colored almond chocolate that further enhanced the nutty flavor of the cookie bases. And then topped with another layer of sweet milk chocolate. 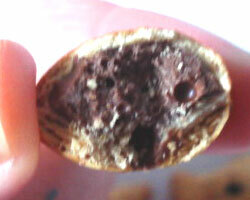 The sweet choc layer coatings blended really well together, and complemented the soft nutty cookie bases. the smell of sweet cocoa immediately filled my senses as I opened the packet, and the rusks were particularly dark in colour, these factors were an indication that a great amount of cocoa powder was used and that was further proven by the taste. 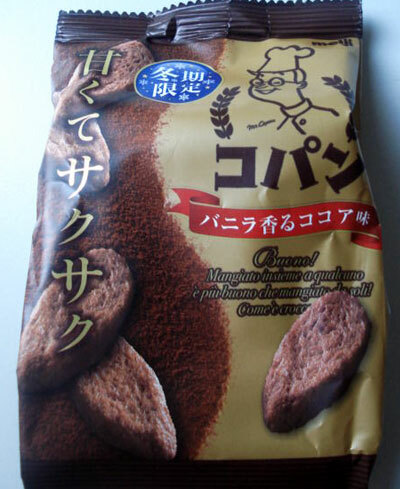 The makers at Meiji infused so much cocoa powder into each piece of crunchy & crispy rusk, the sweetness of cacao was so strong and concentrated, the experience was like you are eating crunchy chocolate, when it's not actually chocolate. They really utilized the taste as well as the health benefits of cacao powder to its fullest potential with these cacao rusks. 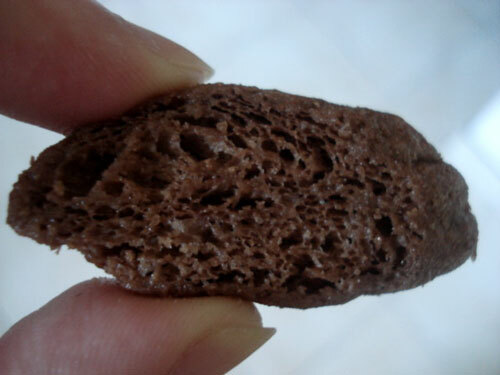 And of course these were much sweeter than the maple sugar rusks, due to the much higher concentration of sweetness from the significant amount of cacao powder used. These sweet cacao rusks has become my new personal favorite among all Copan flavor rusk snacks even though Copan snacks are typically savory...there's really nothing I can fault with these to be honest, Copan never disappoints me! Happy New Year everyone! Hope you all had a lovely Xmas & New Year celebrations! Sorry for not updating for so long, but because of the holiday season, it's not hard to believe that I've been distracted by all the holiday mania & celebrations. Anyway, in order to kick this blog into the new year, I've chosen one of my favourite snack brands to review today; 'Copan' from Meiji for my first review for 2012! 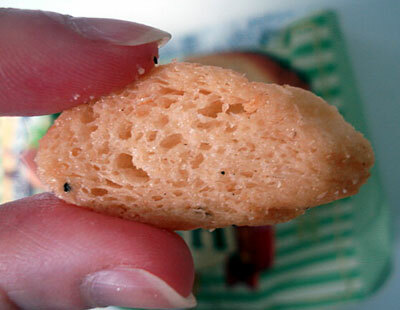 I've blogged about these lip-smackingly delectable rusk toast snacks numerous times in the past, and if you've been a regular reader, then you probably have read these reviews for this irresistible snack and know exactly what they are and just how much I'm head-over-heels in love with these tasties! as usual, these lovely oval shaped rusk pieces were beautifully crisp, texture was perfect; not too hard, but not too soft with a lovely crunch to them, and bursting with flavor. 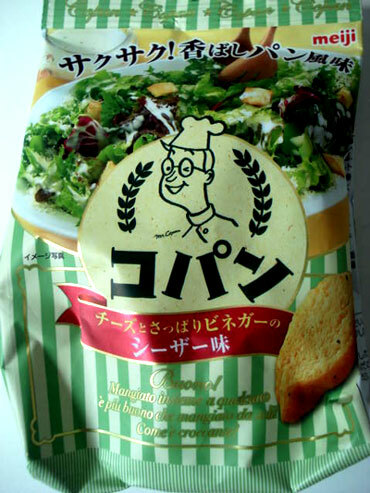 The seasonings are usually accurate with Copan snacks too, and it's particularly so with this flavor. 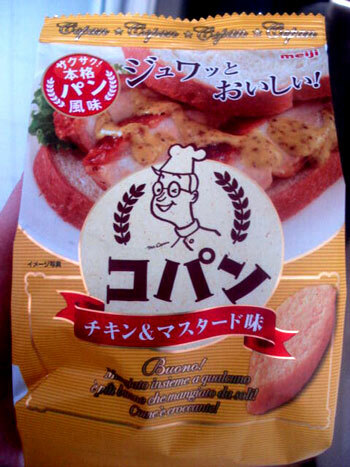 The seasonings were so accurate that the pungent flavor of mustard was captured successfully also with just the right amount, resulting in a well balance of the chicken and mustard flavors. Although these yummy Copan rusks also make good garnishes on a dish, but I reckon most people would just happily devour these yummies all my themselves, like I usually do! 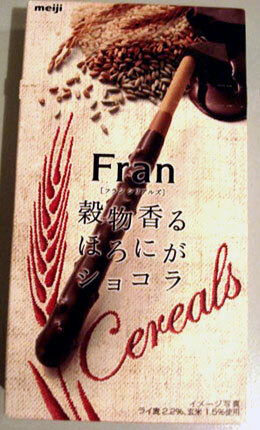 The makers at Meiji can never go wrong with Copan!